Posted November 9th, 2017 in Low Cost 1000 Watt. Tagged: 1000, 1000w, 220P21000XR, Crossfire, EVGA, Fully, Mode, Modular, Nvidia, Platinum, power, Ready, SuperNOVA, supply, Warranty, year. Introducing the next generation in value; the EVGA BQ Series. 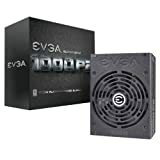 These power supplies take some of the best features from EVGA’s award winning power supply lineup, like near silent operation and modular cables to make one of the best values today in high performance power supplies. Posted November 7th, 2017 in 500 Watt Under $50. 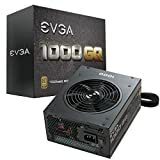 Tagged: 110BQ0500K1, 500W, BRONZE, EVGA, Modular, power, Semi, supply, Warranty, year. Posted September 4th, 2017 in Buying 1000 Watt. Tagged: 1000, 1000w, 220P21000XR, Crossfire, EVGA, Fully, Mode, Modular, Nvidia, Platinum, power, Ready, SuperNOVA, supply, Warranty, year. With price and performance in mind, the EVGA 500B is the best value power supply for your NEXT build on a budget. With 80 plus bronze standard, over 80% efficiency under typical loads, the EVGA 500B is a great choice. Combining 500 w of continuous power and single +12 V high Amp rail design, gain maximum power and efficiency while staying protected with a series of over volt/over current protections all bundled into one! Posted June 27th, 2017 in 500 Watt Under $50. Tagged: 100B10500KR, 500W, BRONZE, EVGA, FREE, Includes, power, Self, supply, Tester, Warranty, year. 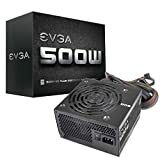 Introducing the latest in the EVGA power supply line-up? the GQ series. 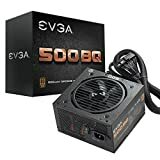 These power supplies take some of the best features from EVGA’s award winning power supplies, like EVGA ECO fan mode for near silent operation, Japanese Capacitor Design and a highly efficient design, at an excellent value. These new power supplies are 80 Plus Gold rated and offer an outstanding 5 Year Warranty that’s backed by world class EVGA support. Posted April 8th, 2017 in Bargain 1000 Watt. 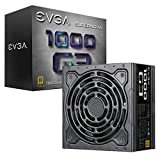 Tagged: 1000GQ, 1000w, 210GQ1000V1, EVGA, Gold, Mode, Modular, power, Semi, supply, Warranty, year. Posted March 28th, 2017 in Deals For 500 Watt. Tagged: 100B10500KR, 500W, BRONZE, EVGA, FREE, Includes, power, Self, supply, Tester, Warranty, year.